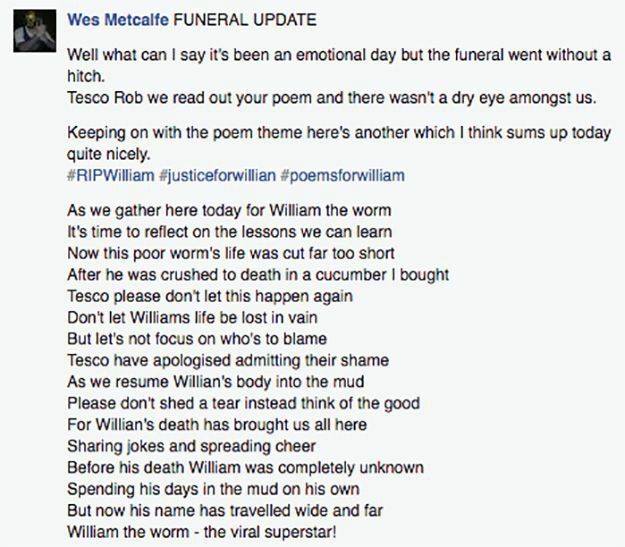 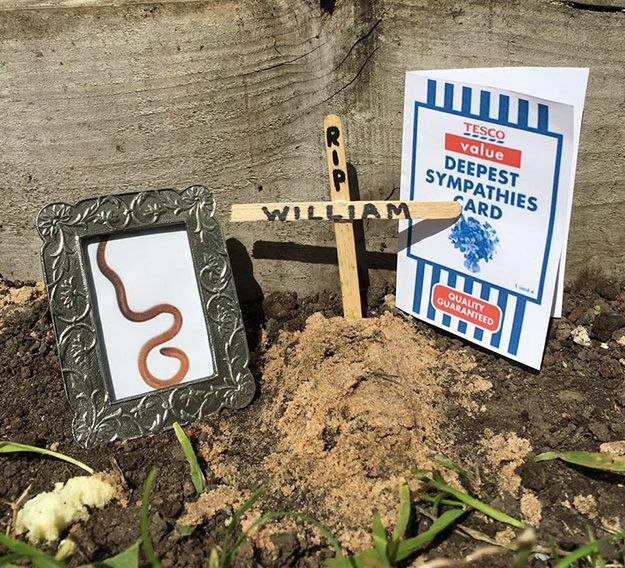 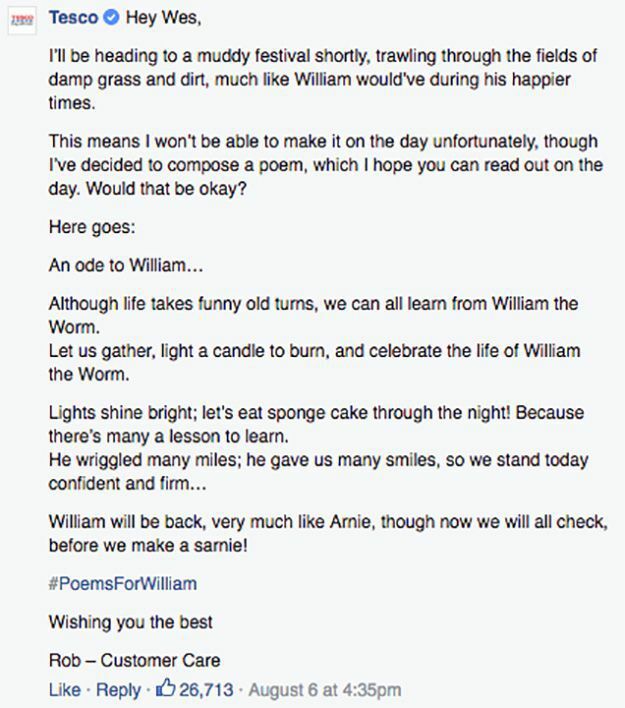 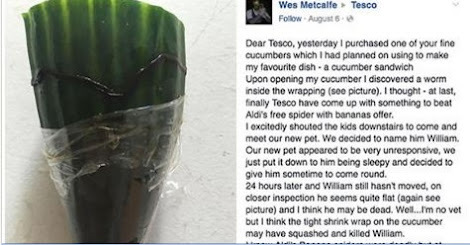 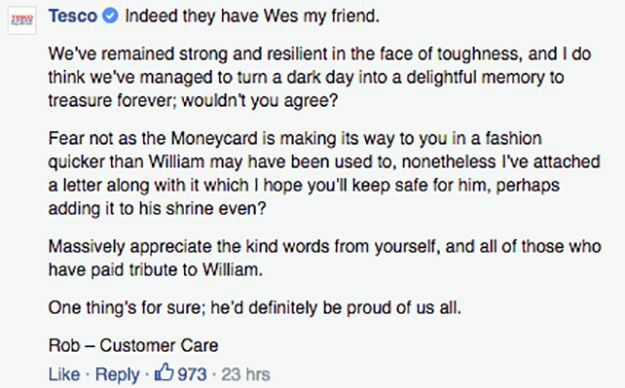 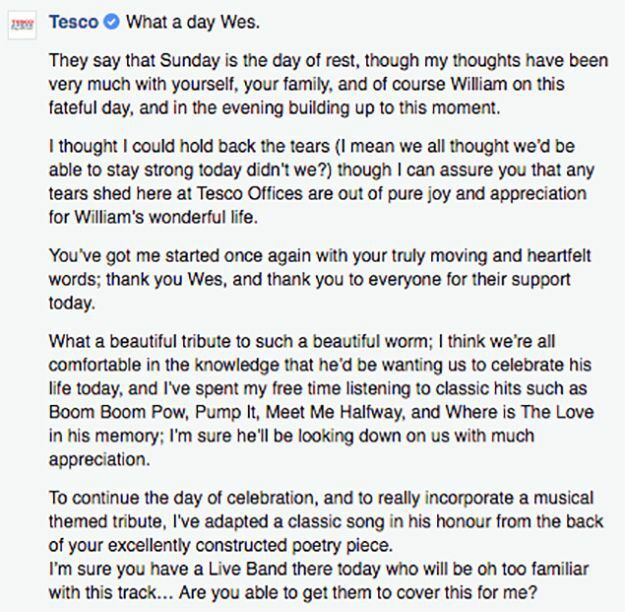 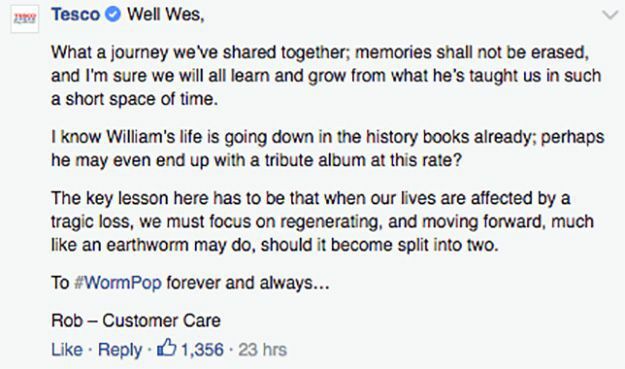 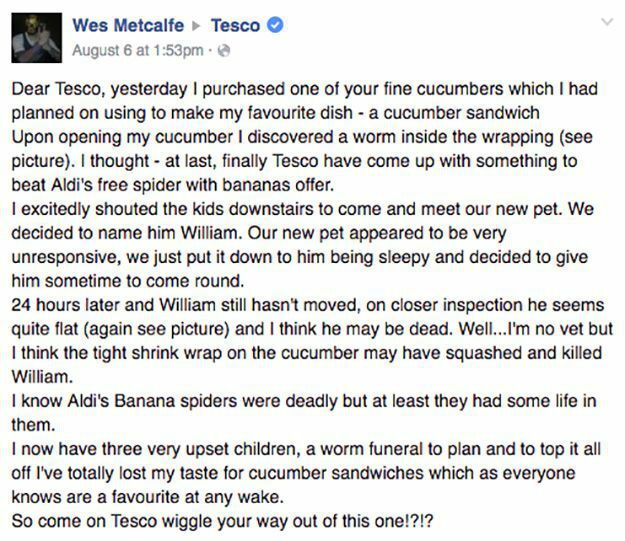 A complaint posted to Tesco's Facebook page on Saturday has been shared more than 27,000 times after the supermarket's customer service rep replied in suitably tongue-in-cheek fashion. 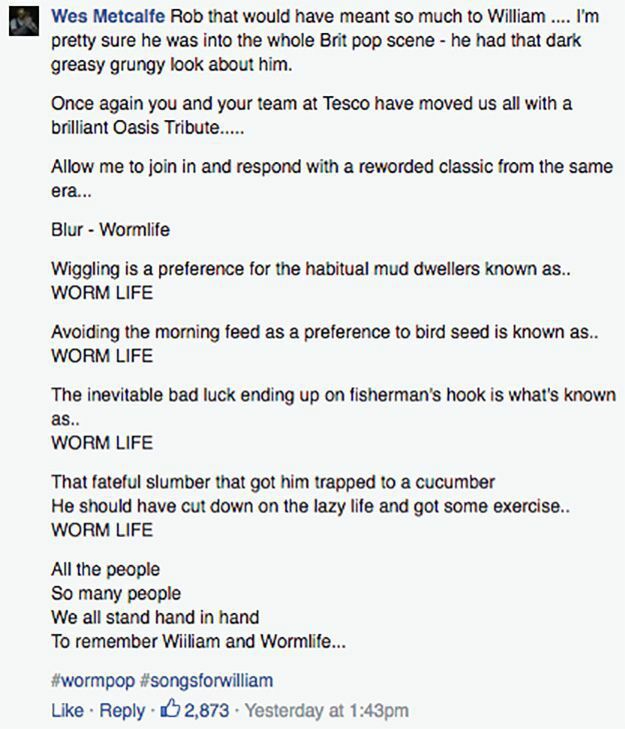 The whole thing started with the following Facebook post. 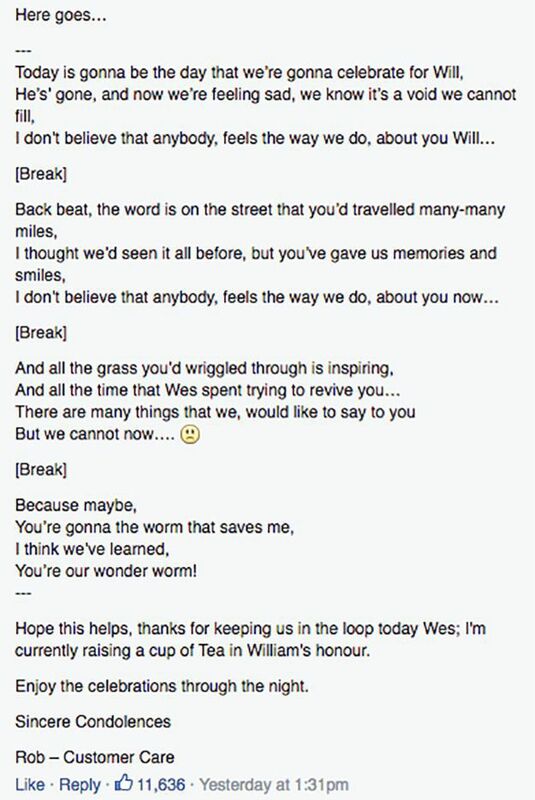 Wes contributed his own song.